​Controversial Newcastle owner Mike Ashley is keen to tie down Magpies manager Rafa Benitez to a new deal by January before the winter transfer window opens in the New Year. Benitez’s current contract expires at the end of the season, and talks to extend that deal broke down in the second half of last season and have not resurfaced since. Ashley is keen to start up these negotiations again and is more likely to develop a different approach to make sure proceedings are sped up. 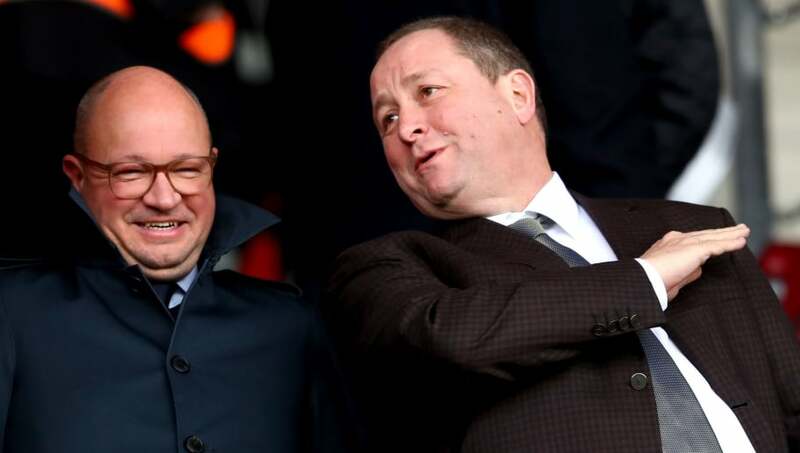 ​Newcastle's owner has said that the club is still for sale, but with no interested buyers willing to pay the £300m asking price Ashley has set for the club, Ashley has attempted to be more interactive with the Magpies' staff. He has been to the team’s last six fixtures, took the squad and Benitez out for dinner and went to the dressing room to personally congratulate the team after their first Premier League victory of the season over ​Watford. The ​Northern Echo report that the next stage in this re-engagement with the Magpies is to extend Benitez’s deal,. It is unknown however if Benitez will be willing to undergo discussions with Ashley over his new deal. Benitez is not thought to have an issue with his salary, but there are three potential stumbling blocks for the former ​Real Madrid manager. Benitez wants assurances over Newcastle’s war chest in the next few transfer windows and how much he will influence transfer decisions, whilst also wanting a renovation of the club’s youth structure. Adding to that, Benitez wants several improvements to Newcastle’s training facilities. There’s still been no agreement on the overall package for Benitez. Whilst these discussions have prompted the Toon faithful to have some hope that Benitez will sign a new contract, fans will still hold their breath, given many of the Spaniard's requirements must get the go-ahead from their vilified owner.